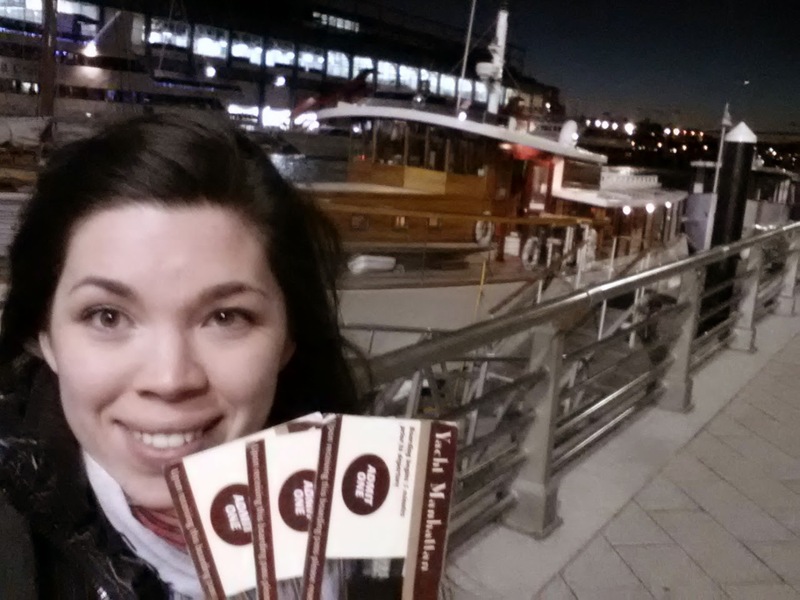 Off, off and away we went to the Classic Harbor Line off Chelsea Pier 62 in Manhattan! 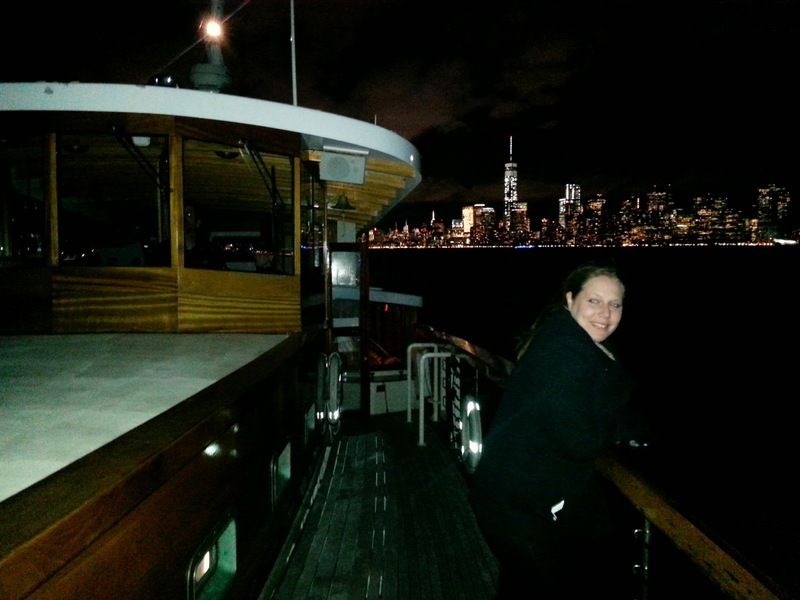 That's right-- I roped my two friends into coming to the Big Apple to step aboard this beautiful yacht for a Champagne & New York's Lights cruise. They claim it is a "Family Friendly Boat, Touring Manhattan, dedicated to helping locals and visitors alike enjoy the unique wonders of New York City". 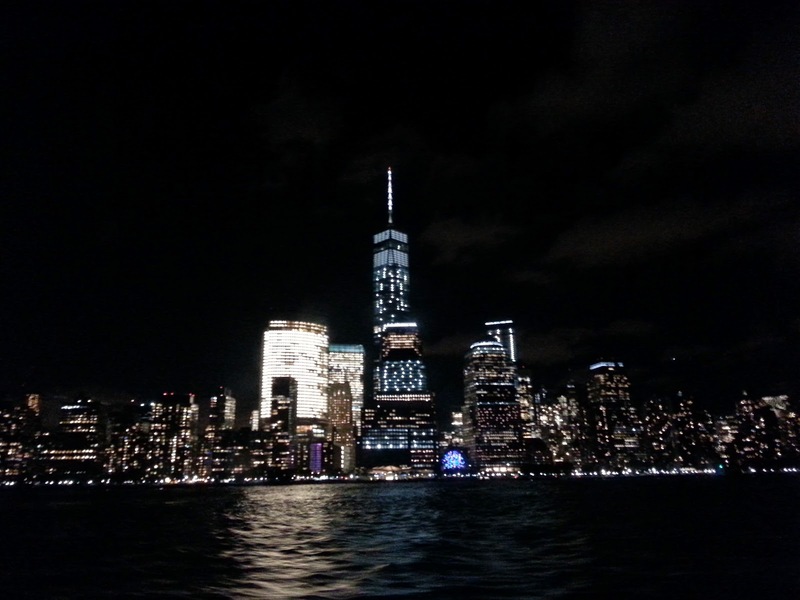 I was really excited for this tour, because I have been to NYC several times in my life and have YET to see the Statue of Liberty up close, let alone the city really at night time from a far. The cruise is set on a beautiful pier that stretches out as far as you can see in the photo above. I will say it is rather windy on this side of Manhattan-- so dress warm, bring gloves and a coat this time of year! We grabbed our tickets from the pier and got set to board are cruise! It was a cold windy night, so I was glad the cabin was warm and toasty for us once we boarded. I will also say if you have motion sickness (like me) take a pill because it does rock at the docks. Luckily, that was the only time I really felt the rocking because once you leave the harbor it is pretty smooth sailing! How can one describe the views, as you travel, in words? you have to go out on the front deck and see the views! I was in complete awe of "Lady Liberty" (as my five year old calls her). Seeing her from a far is great, but to be up close was worth every windy chill. Each ticket comes with a complimentary drink! What we loved: Friendly Staff, complimentary drinks, views of the city are AMAZING. The atmosphere and safety the crew provides you can really tell the care that goes in to each cruise. I enjoyed that it wasn't a tour because we enjoyed exploring ourselves.The prices were extremely competitive & worth it! What could be Improved: Drink selection (I would recommend a sweet wine, Moscato, White Zin perhaps). Maybe a narration of the bridges because we had to guess. I want to go! This looks like such a good time.